In many ways this week’s casting is a direct evolution of the story from last week. It involves the same three houses and the geomes themselves show a clear link between the geomes cast last time. The direction of the Flow is different this time showing a ‘thoughtful Contraction’ which suggests that whatever the outcome of your adventures last week you are now bringing home the results to digest them. Given that the second geome cast was Cauda Draconis the image which formed in my mind was that of a dragon who flew out of his cave last week in search of food and who has now returned to eat and digest it. The first geome, Acquisitio in the ninth (Taurus), shows that we need to take the inspiration from our wider ideas and thoughts and experiences from last week and start to see how we can make them come about. This is probably quite an enjoyable thing to do. Don’t get too lost in fantasising or wondering ‘what if’ too much, however. 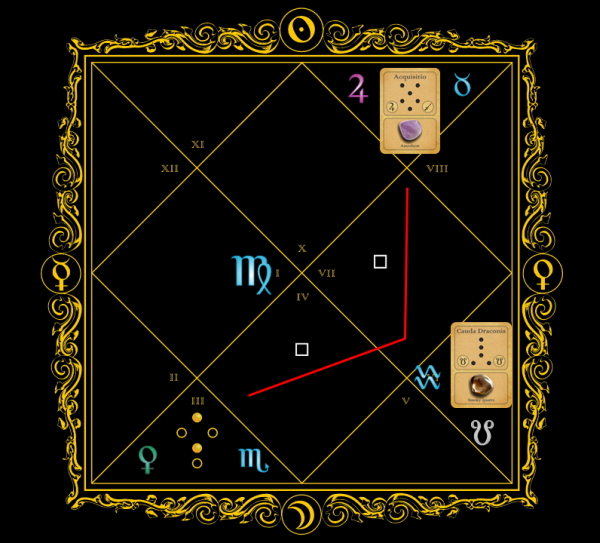 Given that the Flow starts in Taurus this week it will be best to spend your time on only those matters with a realistic prospect of practically coming about. If something looks too good to be true at the moment, it probably is. Not only that but pie-in-the-sky ideas probably won’t appeal to you too much. You’re likely to only resonate with those things that you can see paying off. It’s those slowly realised, growing, dedicated areas of our life which are most likely to produce results. Now, this isn’t an area I normally mention in weekly castings of a general nature but there is also the possibility to grow personal wealth here, too. The emphasis is on grow, however — not simply to acquire or have it fall into your lap. Given that the second geome, Cauda Draconis, is placed in the sixth house again this week it’s likely that the work, effort and dedication which you need to show continues more or less the same this week. This re-emphasizes that your life seems to be split between your inner work and your outer work at the moment, especially if you are working on your personal development and growth. This is a parallel with what is happening with the Flow this week: keep the work that you do for a living separate from the internal work you do to develop. If you are concerned with your personal development then the best way to stay on an even keel this week would be to keep your head, heart and hand separate. Don’t let what you need to do for a living interfere with who you are and how you are deep inside. As the week progresses you will be able to capitalise on the Active Transform, Puella (24), in the third (Scorpio). This suggests that you will either directly experience a lifting of your spirits as you figure out how to solve problems which have been troubling you for some time, or that at least you will have a clearer idea of how to progress matters to move to a more favourable environment for yourself. Either way it is likely to involve making a few relatively minor adjustments around you. It’s often the small tweaks, the refinements, the little bit of grease on the wheel and oil on the hinge which makes everything a little bit better. Take your time and consider. Then hit the nail squarely on the head. It should go in without too much trouble. Use social contacts wisely. Avoid ‘snakes’ with big smiles. Don’t get too friendly with unlucky people. 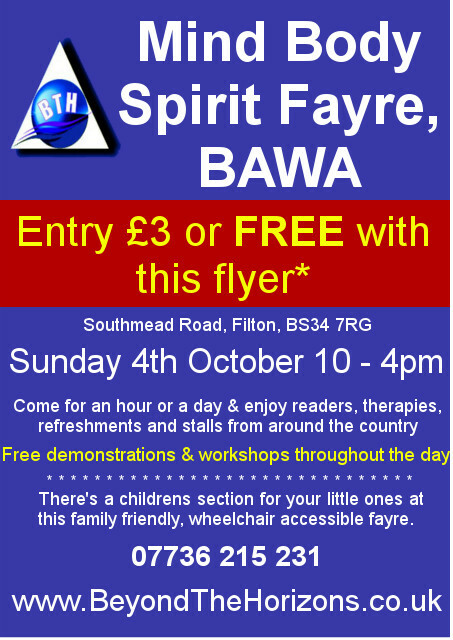 Today: If anyone would like to meet up and have a personal reading I’ll be at the BAWA club Mind, Body and Spirit fair today (Filton, Bristol).